Oui, it’s hard to believe that it’s still fall (until December 20th) with the freezing temperatures in Chicago. Apparently, I thought something was really funny or I’m trying to laugh off the cold – layers and sweater tights do help though. 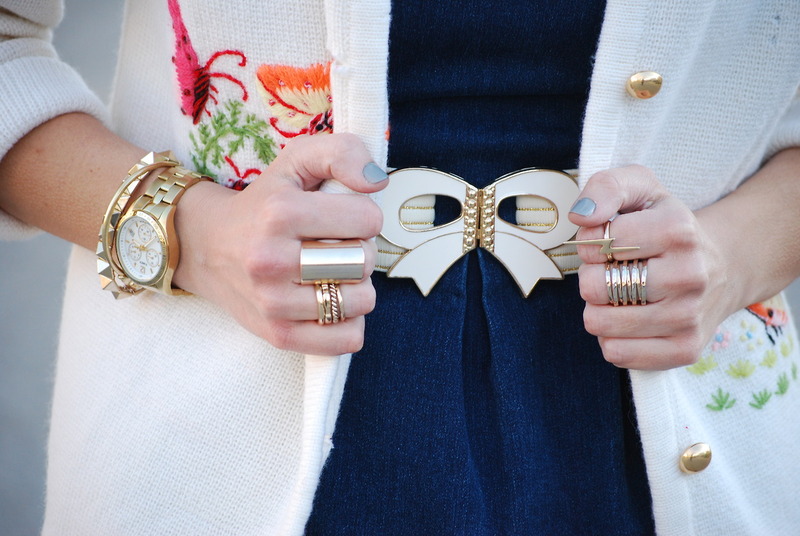 I’m wearing my favorite playful vintage sweater and having myself a little ring party.